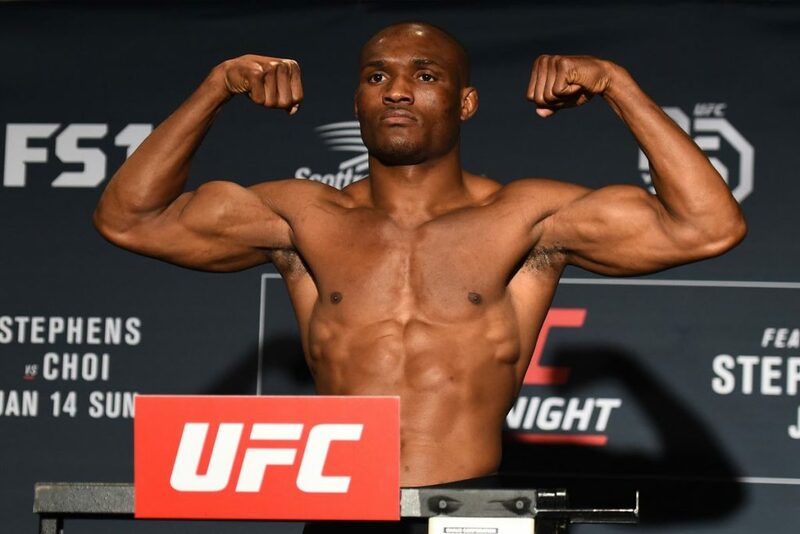 Following his win over Rafael dos Anjos at the TUF 28 Finale, Kamaru Usman has made it known that he’s ready for a title shot if the UFC is willing to give him one. Usman came out with an unanimous decision win over dos Anjos and it was a performance that impressed UFC President Dana White so much that White said in the post-event interview with Fox Sports 1 that he thinks he might be looking at Usman vs Woodley next for the welterweight title. In his interview with the FS1 crew, White said that he was extremely impressed with Usman and due to the latest with Colby Covington, Usman may jump ahead for the next title shot. Following the praise he received from Dana White, Usman spoke about his willingness to fight Tyron Woodley for the welterweight title, if that’s what the UFC wanted to do next. During his appearance on Ariel Helwani’s MMA Show, Usman opened up about his next potential fight coming against either Covington or Woodley. Usman told Helwani that he has accepted a fight against Covington multiple times but the former interim champion has been ducking him. Usman would go on to say that while him and Woodley don’t have any beef, he’s willing to fight for the title next if the opportunity presents itself. As for the possible fight, Usman added that he’d be ready to go “next week” if the UFC needed him to fight either Woodley or Covington. With a willingness and readiness to fight either fighter, Usman shut down any possible idea that he would be an alternate for a title fight between Covington and Woodley. Following his big win, it’s clear that Dana White and the UFC may get behind Usman and grant him the next title shot against Tyron Woodley, and that’s a fight that “The Nigerian Nightmare” is ready for.